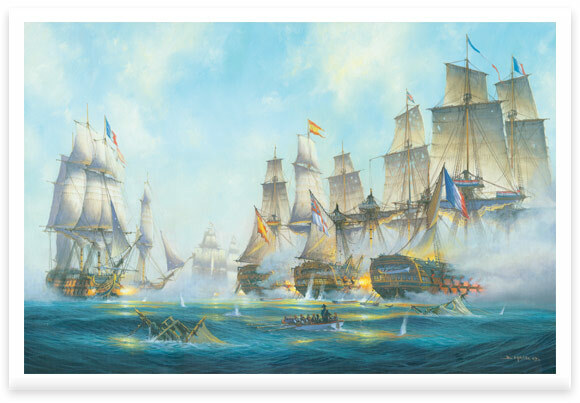 This superb scene from the Battle of Trafalgar by Don Macleod is simply stunning. All print are on high quality art paper using the Giclée digital printing process and archival quality inks. This ensures superb reproduction with a guarantee that the print will not fade for 75 years.